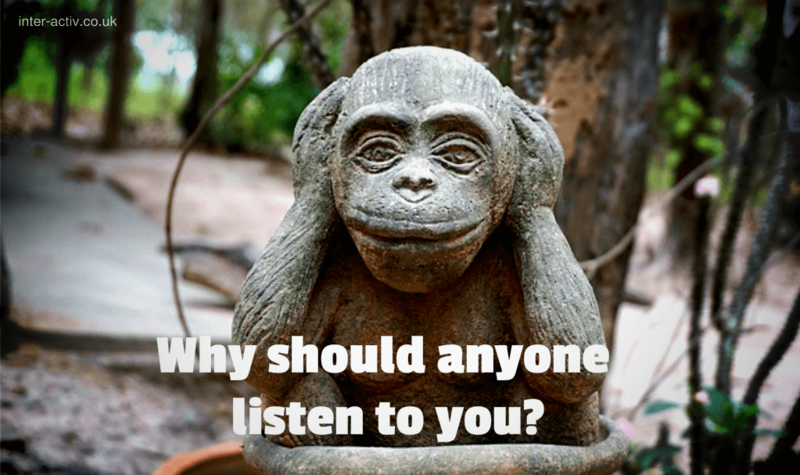 Hey Mr Executive Speaker – Why should I listen to you? Today, many executive speakers rely on their job title to hold their audience’s attention rather than their content or delivery style. Those that do are deluding themselves. Why would anybody listen to you unless you have something worthwhile to say? Something that grabs their attention by the scruff of the neck and holds it.